An unusual card for a cheese lover. 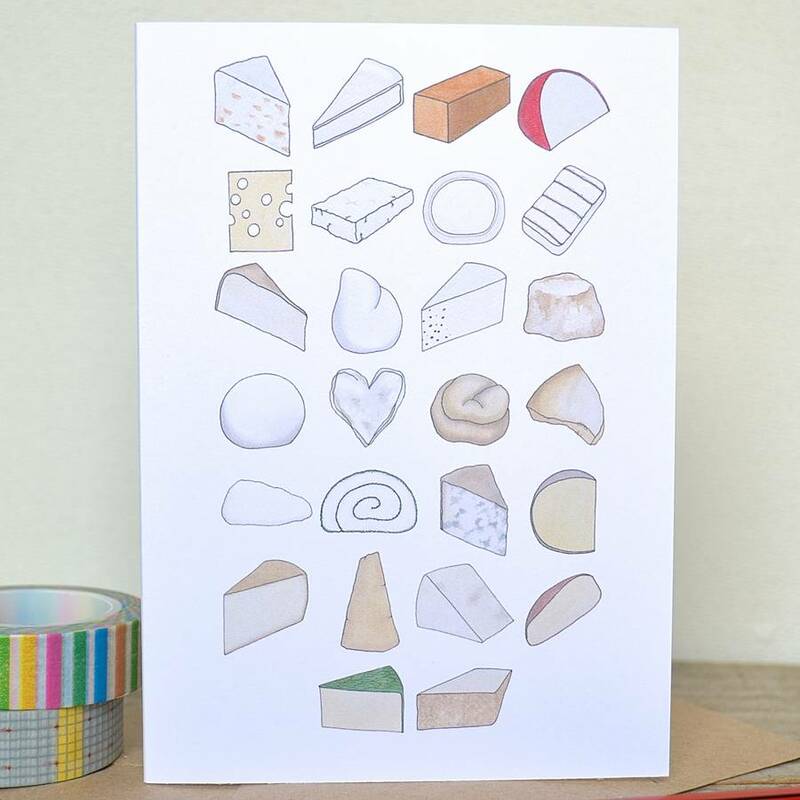 This is the perfect cheese birthday card for a cheese-lover like myself, but it'd also be great as a notecard to a turophile (that's the fancy word for someone who has a fondness for cheese). 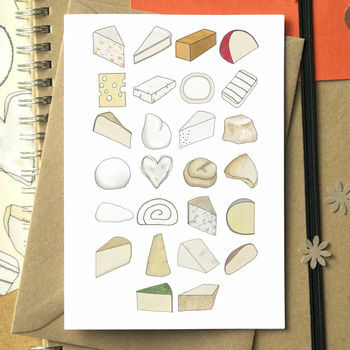 This image features a cheese for each letter of the alphabet. It comes with a complete listing on the reverse of the card. 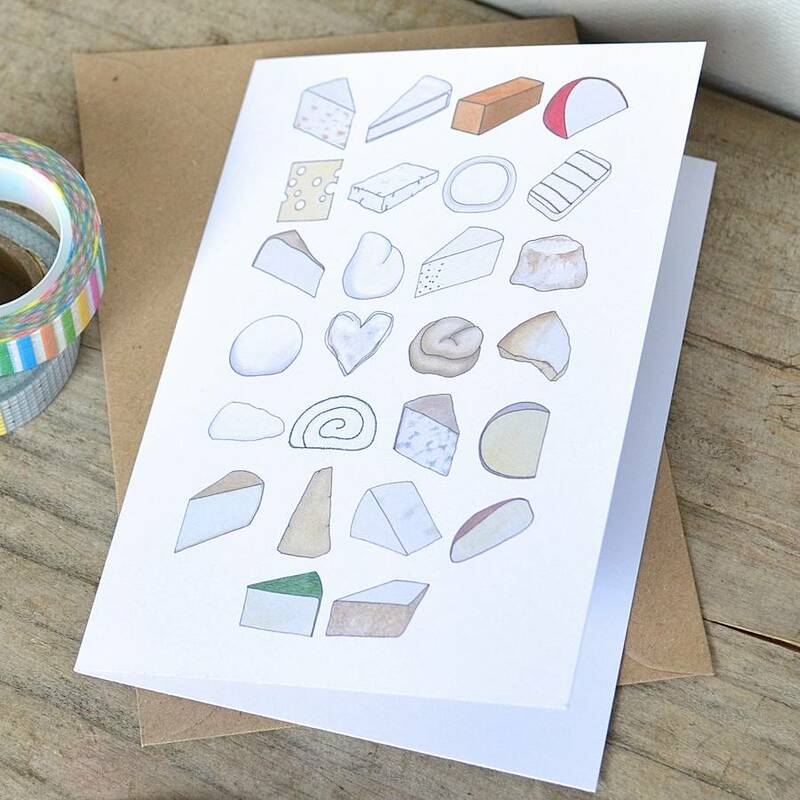 It's printed from an original image; which I've just re-designed - I drew each little cheese by hand and coloured them using watercolour paint. The card is blank, for your own cheesy message! The card is available as a single card, or as four matching cards at a slightly reduced price. 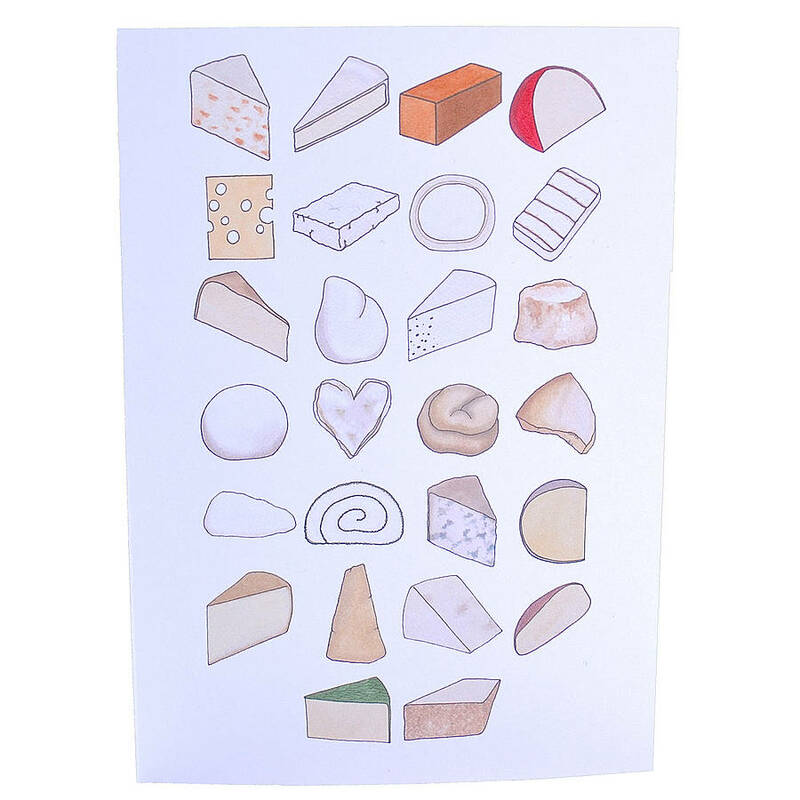 A matching Cheese Alphabet print is also available, framed or unframed. You can now choose to send this card direct to the recipient, which is perfect if you are overseas, in a hurry or want to save on some postage. Cards chosen with this option will include the message exactly as specified in the text box provided, and sent in an envelope directly to the contact name and delivery address provided, in line with my usual dispatch timings. 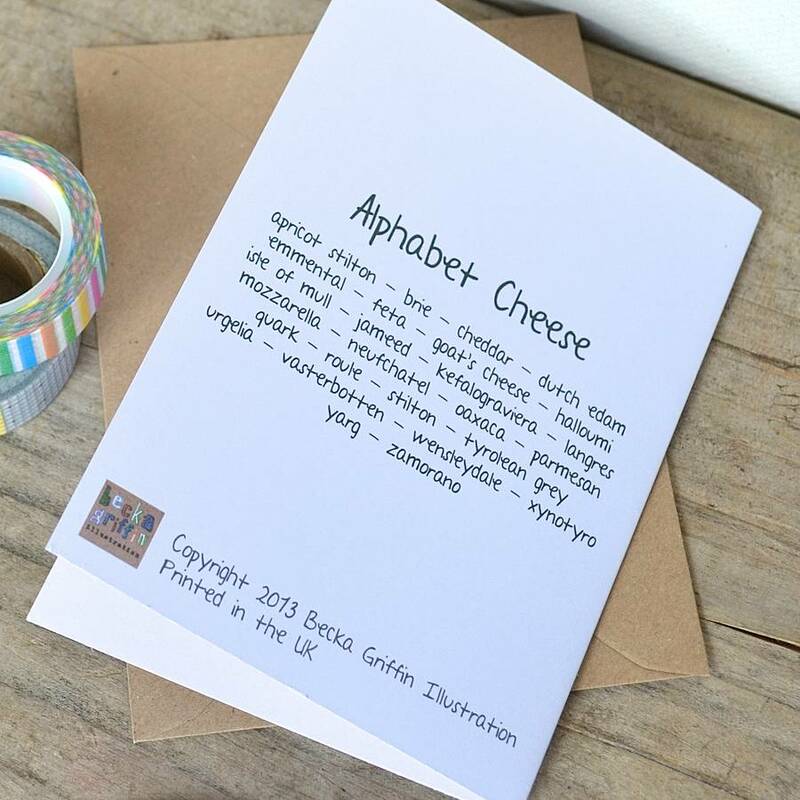 The Cheese Alphabet card is printed on a crisp white card stock and packaged in cellophane. 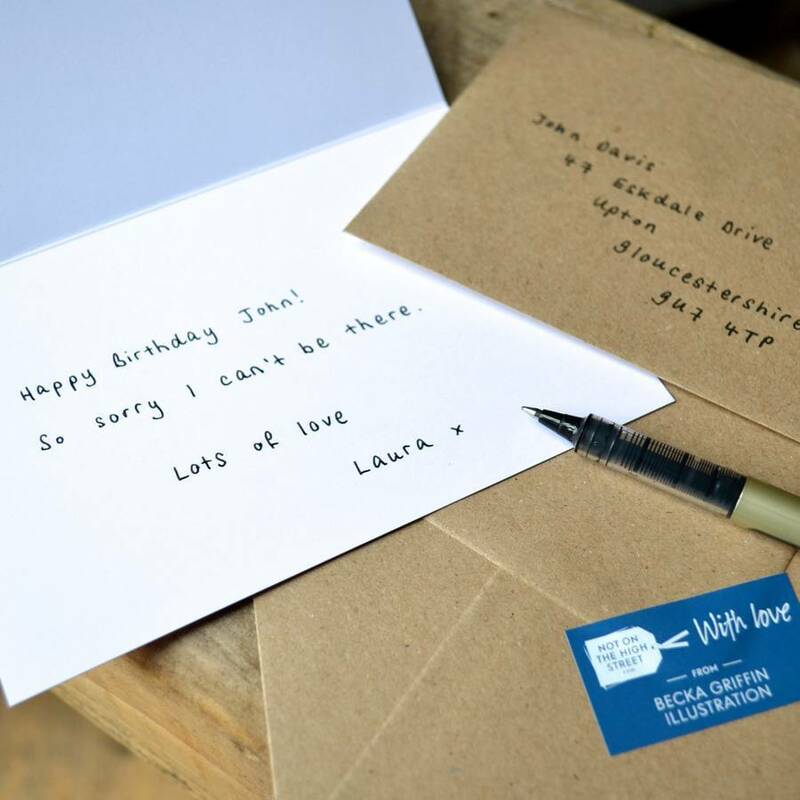 The card measures approximately 10.5 x 15cm; the matt brown recycled envelope is slightly larger.